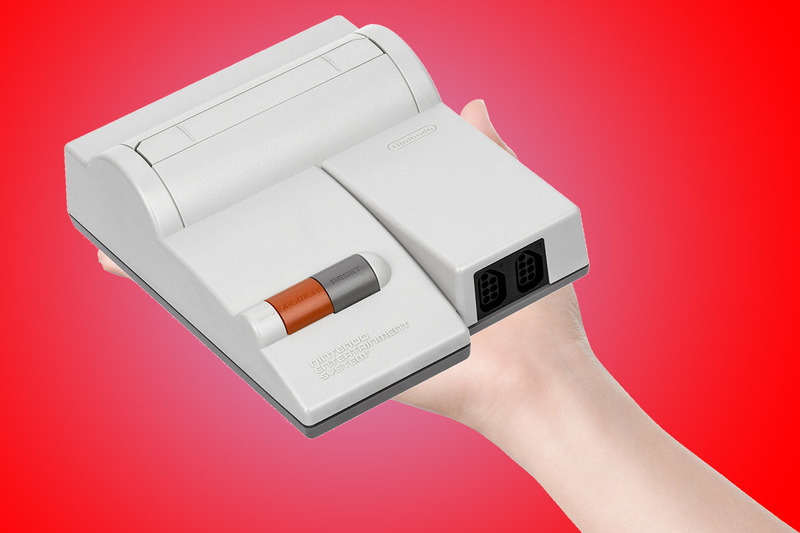 What's Next for the NES Classic Edition? Nintendo's mini-NES seems likely to be a hit... and the first in a long line of inexpensive standalone retro consoles. Assuming Nintendo can make enough of them, the NES Classic Edition mini-console seems almost guaranteed to become a huge holiday hit this year. It's a perfect gift for casual Nintendo fans old and new, offering 30 mostly great classic games on a wonderful, diminutive, reproduction NES that features spot-on emulation and a solid feature set. HAL's first push-box puzzler for NES isn't the strongest of the series, but it's more approachable for newcomers than its challenging sequels. The story of a boy, a frog, a jumping super tank, and the dual-format metroidvania quest that unites them. The best 8-bit Castlevania was a bizarre omission from the first NES Classic Edition model. Let's not repeat our mistakes. Contra for NES has been weirdly absent from Virtual Console, and it's time to put an end to this unfortunate streak. There are sports games, and then there are multi-format combat sports games starring the cast of River City Ransom. This is the latter. Nintendo miraculously dug up and published the lost prototype for this NES RPG for Virtual Console, but there's no such thing as making such a fascinating piece of history too available. An offshoot of the venerable Dragon Slayer franchise, this earth-tone action-RPG feels like the lost sibling of Zelda II. A rare case of a Game Boy release getting a sequel for NES, this short-but-sweet platform adventure puts players in the role of the deadliest bad guy from Ghosts ’N Goblins, and it rocks. As simple a take on the sport as its title would suggest, but its simplicity lends it an appealing (and addictive!) purity of purpose. One of the weirdest ideas for a video game ever: A special ops soldier fights computer viruses by TRON-ing himself into data... in the form of a classical Japanese kabuki dancer who kills bad guys with his hair. Sure, whatever. It's fun. The amazing side story to Gradius, featuring better graphics, dual-format play, and best of all... cooperative two-player action. For many NES kids, this classic LucasArts PC port served as a gateway to a world of hilarious point-and-click adventures. Mega Man 2 showed up on the first NES Classic Edition, so it's only fair that the game that gets cited as the other all-time best Mega Man adventure gets a crack at fame, too. Hideo Kojima reputedly hated this port of his groundbreaking MSX classic, but since he's no longer with Konami to suppress its existence, we say "let us have it" — flaws and all! A sublime sequel offering more refined action, greater breadth of abilities, and a somewhat more reasonable difficulty level — an NES essential. This Mega Man-esque platformer has largely been forgotten, but it's a snappy and appealing must-have from the system's waning years. Although the isometric perspective of this racer takes some getting used to, its speedy action and destructive combat elements feel like the inspiration for Super Mario Kart. This brawler/RPG hybrid feels a little messy in places, but that's probably to be expected — no one had ever married a brawler to an RPG before! Think "Warner Bros. cartoons" meets "Bionic Commando." That's awesome. I guess we should have put Bionic Commando on this list, too, huh? One of the first NES games to take an arcade creation and run with it in the opposite direction, this rough adventure was a foundation for great things to come — and despite its flaws, it has an exceptional sense of atmosphere. Another early wild divergence from arcade material, Section-Z turns a simple scrolling shooter into a devious and challenging journey through a space labyrinth. Like Ninja Gaiden, but harder. "How is that possible!?" you ask. Well, somehow, they pulled it off. But it's fun regardless! A classic Mac adventure game memorably converted to NES. Is it fair? Hell no. But its ruthlessness is part of its charm. Another one of those isometric games from Rare, this time putting players in control of a snake roaming surreal landscapes. Weird but cool. The refined sequel to Nintendo's Zelda-for-Americans got even goofier, but it was more fun to play. Konami's memorable multi-event sports game remains fun even now thanks to its simple design and charismatic visuals. The final NES game released in any territory was better on Super NES, but this puzzler isn't bad — and its place in history makes it important. Rare's first major original effort for NES was this odd, rubber-limbed medieval adventure that involved treasure collection, permanent power-ups, and free exploration in a linear world. Kuros's second adventure doubled down on the exploratory and RPG elements, and came out all the better for it. Yoshi featured in two puzzle games for NES. This was the fun one.